I don’t know if you’ve ever been faced with the struggle of a brain dysfunction like anxiety or depression or attention issues but it is a road you travel that is not clear cut and easy to navigate. We know that there are situational circumstances that come and go and bring these responses in your brain and we know that others are just somehow born with a increased response in their brain or a decreased response. Usually their brain lacks the chemicals necessary for the neuro receptors to respond correctly. Thus the need for medication. However, there isn’t a test, really, to determine which drug would work best so often it becomes a hit and miss. We have been dealing with such a thing in our family for a while now. It’s interesting to see all the pieces come together and for things to make more sense as you begin to gain understanding. I wish we had seen the signs earlier and could have saved this dear one from suffering for so long. It’s a joy to see some medication work and to see your loved one receive relief from the battle that rages inside their brain to establish some sort of equilibrium. As you can imagine one of the things that I personally struggle with is the no-end in sight to the battle. There is really no fix for such things, the medication could be a forever thing. Behavior Therapy can be helpful but it doesn’t FIX the brain you were born with. If somehow you were given the brain without the certain chemicals to make the connections then that won’t necessarily change over the years. 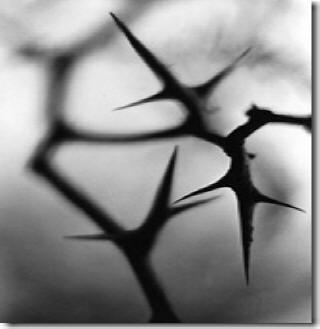 It could remain a thorn in your side forever. We always learn how to deal with life if we read the instruction manual (The Bible). This is the verse we will focus on, this is how we will face this battle. We will look at this as a minor inconvenience in the road that God has put this person on. We will hit it straight on and not let Satan’s road block get in the way of the greatness this boy was called too. We will overcome, he will use this as a reminder, and he will receive God’s grace as sufficient. For the power of God is made perfect in this weakness! What a beautiful way to deal with a such painful trial. I came across this this morning and I was meant to read it. Spoke to my heart. I love how you know God has the answers when you search for them. You are a gifted writer Tracy. Annie, so glad it made a difference for you today! God give me the thoughts, word, burden and I just right. He is a good God and knows just what you need when you need it! Be blessed!! Amen to that! He is always good, loving, and forgiving too! I love knowing he is with my children when I am not able to be.